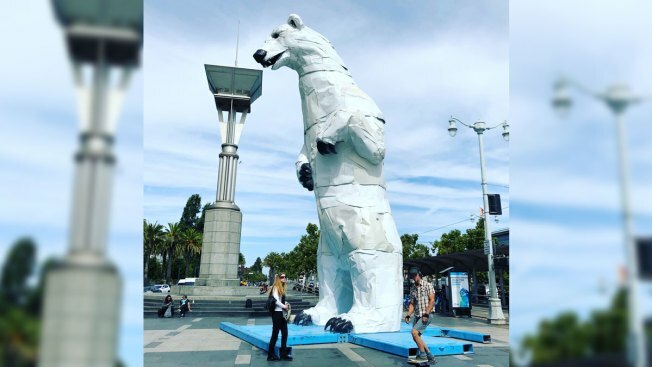 The 35-foot tall "Long View Polar Bear" statue made from recycled car hoods was put on display as leaders and activists from around the world gather this week in San Francisco for the Global Climate Action Summit, and to send the message about carbon footprint and habitat loss. "Taking the 'Long View' is crucial to survival," said DKLA Design drafts, the art collective that produces one-of-a kind monuments. "Animals disappear to make room for our cars. Turning wrecked cars into monumental animals visually reverses this process and impacts the consciousness of the viewer," the statement read. 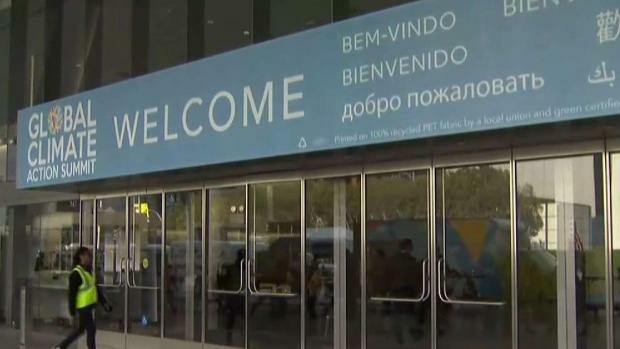 The sculpture was debuted during this year's Burning Man Festival and it will tour the country with its environmental message, according to organizers.